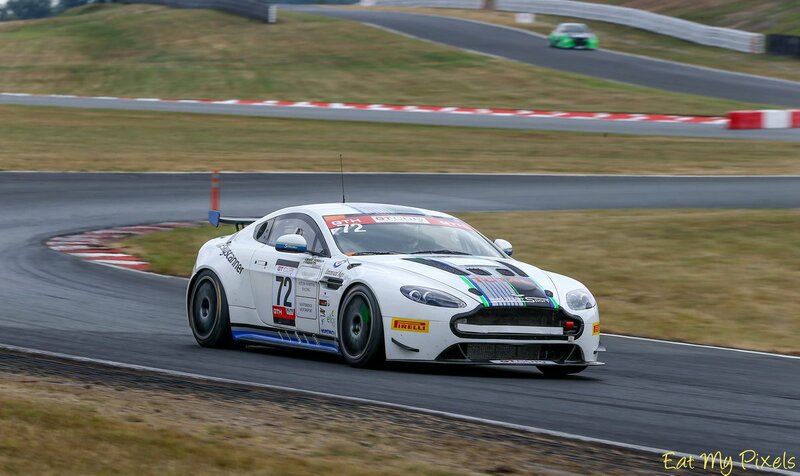 With just three more round of the 2018 GT Cup calendar remaining, Whitebridge AMR duo of Chris Murphy and Adam Hatfield are pushing for the overall crown after another top step class finish from Oulton Park at the weekend. First up on Saturday was Hatfield who claimed class pole by just 0.5 of a second ahead of the #15 Ginetta before race 1 proved to be something of a quiet affair with an important lights to flag race winning performance and class fastest lap from the Norfolk based driver. “It was a good race and a nice, quiet, uneventful race for a change,” said Hatfield. “It feels good to be able to just go and build a gap and maintain it until the end. 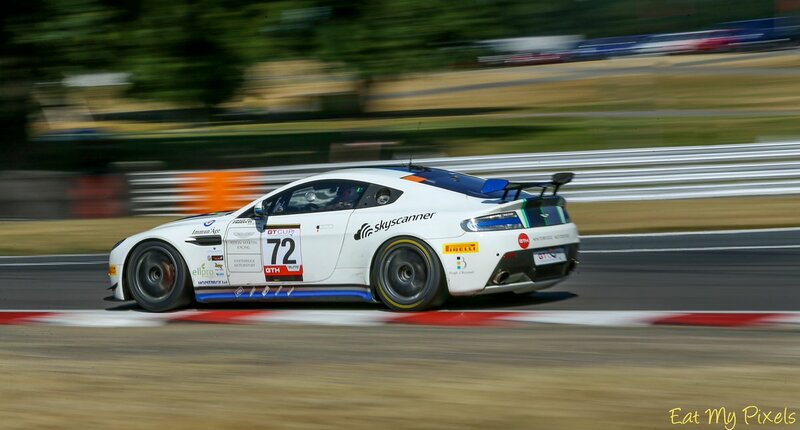 With Murphy starting the second race of the weekend a late stop call to hand over to Hatfield allowed the JMH Ginetta to pass the #72 V8 Vantage GT4 for position to win by over thirty seconds. Despite race two's 'minor' setback, these results allowed the Whitebridge AMR team to consolidate their GTH class lead to 64 points above their nearest rival but critically they move to within 19 points of the overall championship leading Top Cats Racing Marcos Mantis partly thanks to the omission of the Hudmotorsport Vantage GT3 from the event. We have yet to hear of any official reasons for the withdrawal of the car from Oulton Park and/or the remainder of the season. 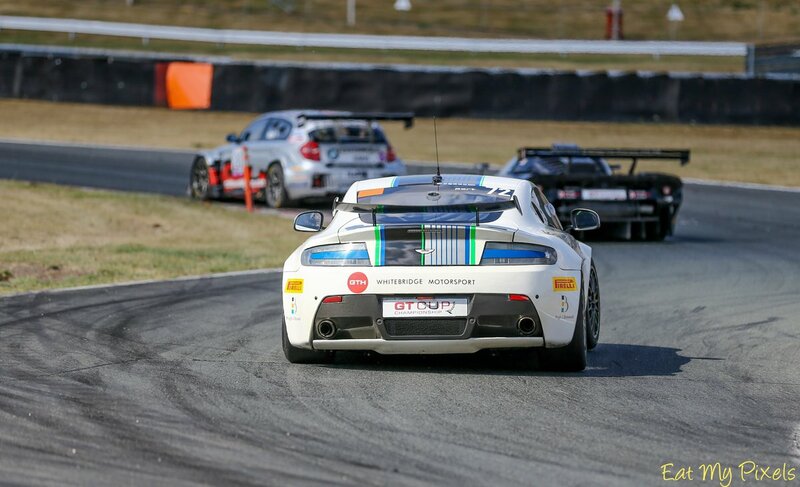 Despite this, former Hudmotorsport Pro driver Adam Wilcox moved across to the WPI Porsche team and secured a joint P2 finish with co driver Michael Igoe. Next round of the season is back at Snetterton in mid August.